Renowned for delivering high quality, high performance security solutions, the latest Euro Profile Security Cylinder and Escutcheon package from Securefast sets a new benchmark by delivering the perfect 3 star rated security combination that has been fully tested to TS007:2014. 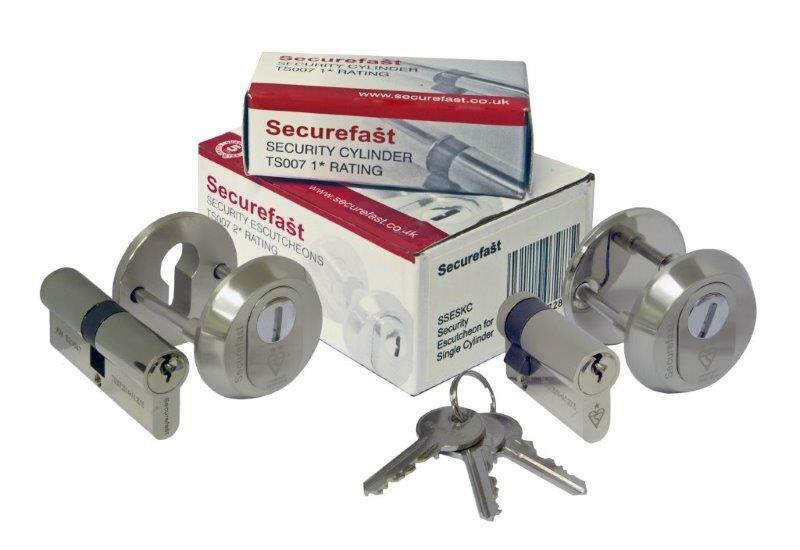 The superb 3 star package from Securefast incorporates a one star rated security cylinder providing protection from drilling, picking, bumping and plug extraction, in combination with a two star rated escutcheon that ensures anti-snap protection and prevents easy access to the cylinder. The precision manufactured escutcheon is hardened to ensure extra drilling protection and has been cleverly designed with a window for the key, which will spin if a drilling attempt is made. Securefast cylinders are available in a range of popular sizes and are suitable for all euro profile lock cases, in addition the three star package provides the ideally security package for use on Timber and Steel doors, when used in conjunction with 72mm centre mortice locks.